MSC Meraviglia spends her days basking in the European sun with cruises through the Mediterranean and into Northern Europe. In the Mediterranean, MSC Meraviglia predominantly completes three different seven day loops visiting Italy, France and Spain. There are numerous ports that you can embark these voyages, the most popular being Barcelona, Rome and Genoa, however you can also embark in Marseille, Palermo, Cagliari or Valencia. 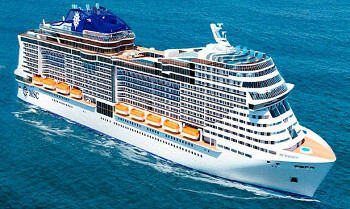 MSC Meraviglia Northern European itieraries are longer, with itineraries ranging between 10 and 14 nights and including options to visit Norway, the UK Islands, Iceland or the Baltic states of Estonia and Russia. Spend 25 nights cruising the icons of Europe, from the Mediterranean all the way to Norway onboard MSC Meraviglia. 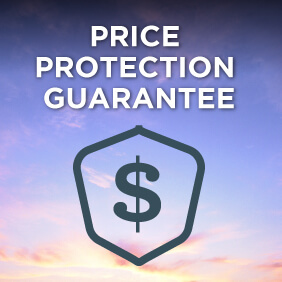 Includes Return economy flights*, transfers*, and one night pre-cruise accommodation*. 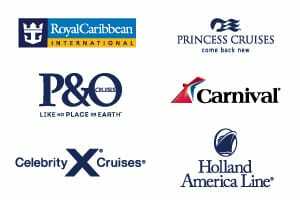 View Grand European and UK Fly/Cruise Package. From October 2019 MSC Meraviglia will make her way across the Atlantic in search of the fall foliage of Canada and New England before heading south into the tropical oasis of the Caribbean. Departing from Miami, she will focus on the ports of the Western Caribbean and will operate a series of seven night Caribbean getaways or 14 night Caribbean discoveries, with itineraries that may include visits to Mexico, Belize or the Cayman Islands. View all MSC Meraviglia cruises, view a selection of MSC cruise deals, or view more options for MSC cruises. MSC Meraviglia, the largest ship in the MSC fleet, is packed with extraordinary features that offer the perfect experience at sea in every season. On board you can enjoy outstanding, authentic dining options and out-of-this-world entertainment with new panoramic areas, an innovative ocean-view aft lounge, a two-deck “inside promenade” with a 5,000+ sq.ft. LED dome and a spectacular amusement area connected to an outdoor water park. This 315 ft. central promenade is filled with boutiques, restaurants and tranquil spots for shopping, eating and relaxing… as well as socialising. And in the evening, it comes alive with music, parties and entertainment.